This evening, Dr. Weiss presented two iconic silent films, The Haunted House directed by Buster Keaton and The Cat and the Canary directed by Elliot Nugent. The piano accompaniment was once again performed by Ben Model spectacularly. The Haunted House was a short, horror film released in 1921, while The Cat and the Canary was a full-length mystery thriller released several years after in 1927. Keaton not only directed The Haunted House, but he starred in it – offering comedic laughter with long chasing scenes and silly foolery. Not to mention – he was one of Hollywood’s famous comedian’s along with Charlie Chaplin. The film also offered unique special effects with sliding staircases, ghosts and crazy robbers. The whole idea of the house reminded me of an early interior vision of The Munsters house. Maybe the movie was an inspiration. In a way the audience can say that the film wasn’t even a horror film because there were a lot of random funny incidental moments. For example, the sticky robbery scene with the money getting glued to the robber’s hands and an opera stage falling apart. 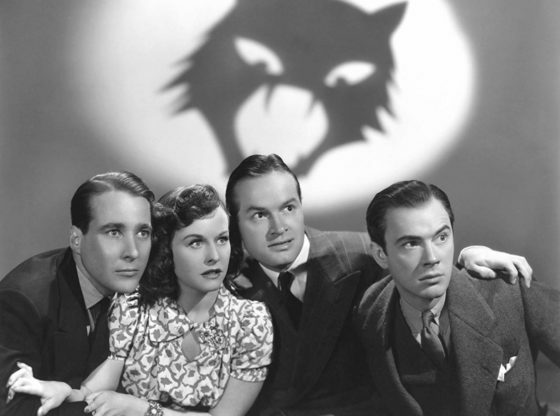 The Cat and the Canary is significant for being one of the first visually dark films of Hollywood’s time. Nugent did a good job of taken advantage of the black and white film by highlighting suspenseful moments. Each relative was a victim and they weren’t sure who to trust. Sort of like an early Clue mystery. The impromptu piano work also did a great job of emphasizing each pivotal moment in the film. It was as if the audience was right there in the picture – waiting to be clawed by the crazy cat man! Overall, both films were enjoyable to watch.